Or as low as $44.92 per month over 12 months. Apply Now. Or as low as $10.75 per month over 12 months. Apply Now. 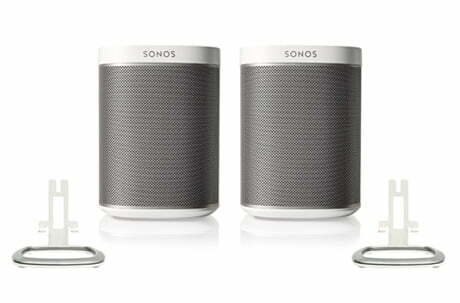 No other wireless speaker packs so much HiFi sound into such a compact design. 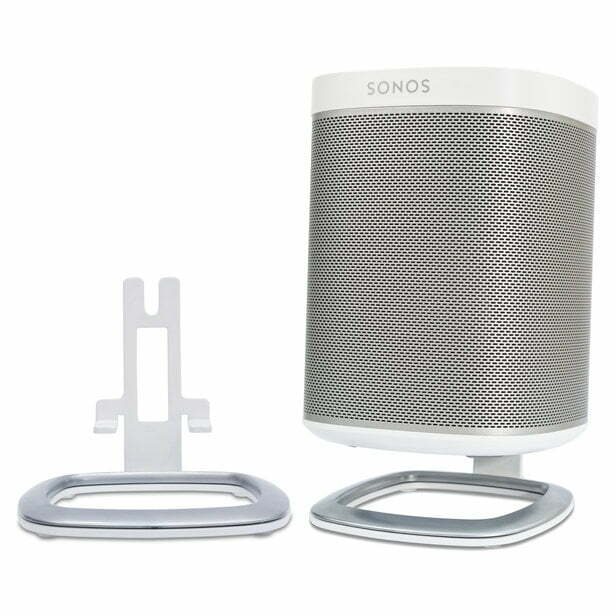 Sonos PLAY:1 All-In-One Compact sleek, versatile design easily fits anywhere your home needs music, for surprisingly big sound no matter how tight the spot. Experience your favorite music from the only wireless music system that combines warm, full-bodied sound with a powerful wireless network 100 percent devoted to streaming HiFi sound without dropouts. Hardware and software custom-designed by Sonos to produce rich, powerful sound, HiFi sound that’s crystal clear at any volume.Two Class-D digital amplifiers perfectly tuned to match the speakers and acoustic architecture. One tweeter creates a crisp and accurate high frequency response.One mid-woofer ensures the faithful reproduction of mid-range frequencies crucial for accurate playback of vocals and instruments, as well as delivery of deep, rich bass.Turn two PLAY:1s into separate left and right channel speakers to create wider, bigger, and deeper sound. Get over 100,000 free radio stations, shows, and podcasts, all for free. And you can tune in without turning on your computer: browse for stations, or type in specific call letters or a radio host you love.Get instant access to millions of songs and thousands of radio stations without ripping, downloading, or even turning on a computer. 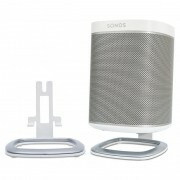 Sonos connects directly to these services over the Internet and then streams the music to the rooms of your choice.Play music stored on up to 16 PCs, Macs or NAS. When wirelessly connected to a BRIDGE or another player, you can use the Ethernet port on the back of your PLAY:1 to bring standard Internet connectivity to your set-top box, DVR, PC, game console or network hard drive.Designed to withstand high-humidity, such as in a bathroom with a running shower.Provides quick access to music, volume and play/pause controls when you don’t have a controller in hand. Press the mute button once to start or stop the music and twice to skip to the next track. Free Sonos Controller apps for Android, iPhone and iPad let you control your Sonos players, music on the Internet and your computer right from the palm of your hand. Download the apps for free on the iTunes App Store or Google Play.If you have multiple music players, you can control what music is playing in every room in your house, from anywhere in your house. Sonos Controllers aren’t tied to a specific player, so you can use any Controller to control the music and the volume in all your rooms.Browse or search for songs and stations, choose the music, and control the volume from anywhere in the home.Android devices, iPhone, iPod touch, and iPad connect to your Sonos system through your home WiFi network.